Are you seeking a new SUV? Then you’ve surely started searching for Jeep dealers in New Hampshire. This is obviously an excellent choice, as there are a number of reasons why the brand’s vehicles stand on a tier above their peers. The vehicles are more than capable of overcoming any type of road conditions, while the accompanying towing and efficiency specs make these vehicles some of the most versatile in the entire industry. While it was relatively easy to zero in on Jeep’s various offerings, it should also be easy determining the ideal dealership. Keene Chrysler Dodge Jeep Ram provides customers with a number of reasons why they should be exploring their vast inventory. Whether it’s the excellent prices, added services, or flexible hours, we’re sure you’ll be happy with the entire buying process. You probably don’t need much more convincing. However, if you still find yourself seeking a Jeep dealership in New Hampshire, see why it’s an excellent choice to opt for the Jeep brand’s vehicles… and see why it’s an excellent idea to make that purchase from Keene CDJR. You probably don’t need much convincing that pursuing a Jeep is an excellent option. However, it’s still useful to explore all of the specific attributes that the brand’s vehicles can deliver. For starters, a number of the SUVs are equipped with the “Trail Rated” badge, emphasizing their off-roading prowess. The incredible towing capabilities can transform the targeted vehicle into a hauling machine, while the surprising efficiency means you won’t have to dish out extra money at the gas station. Of course, don’t take our word for it. Explore the definitive specs and capabilities that accompany each of the brand’s offerings. When a Jeep vehicle is equipped with the brand’s distinguished Trail Rated badge, drivers can anticipate that they’re receiving a vehicle that is more than capable of overcoming any conditions or terrain. Jeep’s vehicles are known for more than their drivability and off-roading prowess. Rather, drivers should also recognize that the brand’s offerings are incredible towing machines. Regardless of which model you opt for, you should expect to be able to haul whatever cargo you want to bring along on your journey. The Compass may be one of the brand’s smaller offerings, but the Jeep is still capable of hauling up to 2,000 pounds (when equipped with the Trailer Tow Package). The Cherokee can deliver an upgraded 4,500-pound towing capacity, while the Grand Cherokee increases that number to 7,200 pounds. These numbers are generally consistent across the board, so you can expect similar capabilities from the Patriot, Renegade, Wrangler, and the hulking Wrangler Unlimited. Incredibly, despite the ruggedness, relatively large size, and incredible power specs of all of Jeep’s vehicles, the brand’s offerings still manage to deliver above-average fuel economy specs. The smaller Compass delivers a 30-mile-per-gallon highway fuel efficiency when equipped with the 2.0-liter 16V dual VVT engine, while the comparable Patriot promises identical numbers when the same engine is included under the hood. Even some of the brand’s larger offerings deliver admirable fuel efficiency specs. The Renegade manages to offer an incredible 31-mile-per-gallon highway fuel efficiency when equipped with the 1.4-liter MultiAir Turbo engine. The monstrous Wrangler Unlimited even manages to put up respectable specs, as drivers can anticipate a 21-mile-per-gallon highway fuel efficiency when paired with the 3.6-liter Pentastar V6 VVT engine. You’ll surely have a number of choices as you’re seeking the ideal dealership to purchase your new Jeep. 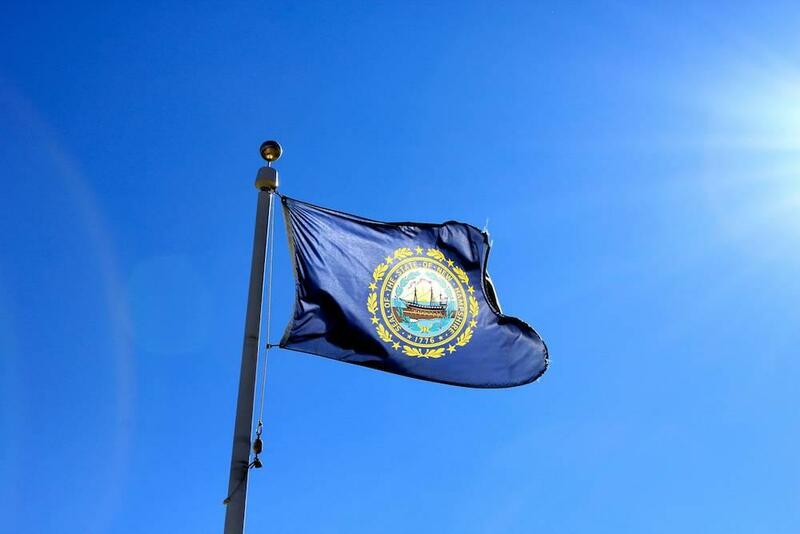 Well, if you live in New Hampshire, you won’t have to look much further than Keene Chrysler Dodge Jeep Ram. This dealership provides some of the most competitive prices in the area, and their willingness to include a number of additional services only emphasizes why you should opt for this business. Meanwhile, the flexible hours means you’ll never have to reconfigure your schedule as you look to start the car-buying process. You’d certainly be hard pressed to find similar advantages from any rival dealerships. 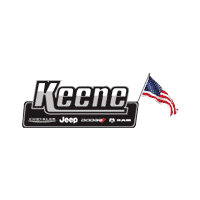 Keene Chrysler Dodge Jeep Ram is stock full of new Jeeps, with the dealership housing more than 60 of the brand’s vehicles on their lot. Regardless of which SUV you decide to opt for, you’re surely be able to find a match at this dealership. Fortunately, this business doesn’t only cater to those seeking a Jeep. While it’s probably rather obvious from the dealership’s name, Keene CDJR also sells an array of new Chrysler, Dodge, and Ram vehicles, meaning there’s really no limit to what type of car you can pursue. There are even more than 50 used vehicles for sale, so you won’t have to stretch your budget to purchase a vehicle from this dealership. Keene CDJR appeals to more than the standard car buyer. Thanks to the wealth of commercial vehicle offerings, buyers can also rely on the dealership to buy a hulking passenger van or work truck. It’s rare that a reputable dealership like Keene CDJR will offer these types of vehicles, so it’s in your best interest to take advantage while you can. Keene CDJR serves as more than a simple “car seller.” The dealership provides customers with a number of additional services that will only incentivize opting for their services. For starters, their finance department makes it incredibly easy to afford any of the dealership’s available vehicles. Customers can apply for financing from the comfort of their own couch, and they can approximate monthly payments thanks to the website’s helpful Payment Calculator. Meanwhile, the Service and Parts department will handle any mechanical or maintenance issues that your vehicle may run into. Instead of having to rely on an untrustworthy mechanic, you can turn to Keene CDJR’s expert technicians to handle any of your vehicle’s needs. If you require some type of unique part as you’re looking to fix or modify your ride, Keene CDJR will even be able to help you acquire those harder-to-find parts. The dealership’s best offering may be the flexible and long-lasting hours. The sales department is open every day of the week, and they’ll handle any of your inquiries until 8pm from Monday through Friday. Alternatively, customers can visit the premises on the weekends, meaning it won’t be difficult to carve out the necessary amount of time that it takes to start the car-buying process. The service and parts department are just as flexible. The department opens at 7:30am every weekday, and customers can even access their services until 8pm on Wednesday evenings. If drivers prefer, they can even bring their vehicle in for maintenance on a Saturday afternoon!